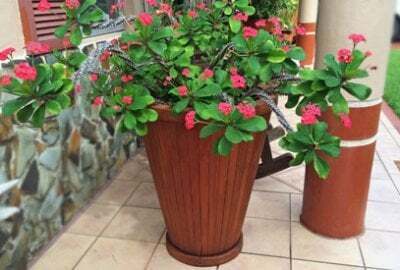 Like a large wooden vase, our Round Wooden Planters are meant to hold, and keep your plants safe (and looking good) in practically any setting. They are meticulously crafted by hand, to give you an aesthetically pleasing, and structurally unbeatable solution when it comes to planting your flowers, decorative bushes, or small plants. 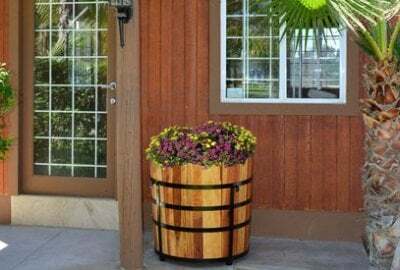 Water, heat, humidity, and even cold are no match for our line of custom-made Round Wooden Planters. Check out these two great styles to choose from. 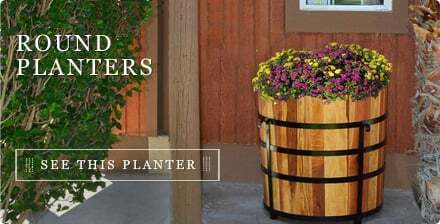 We've got Half Barrel Planters and Vase Planters, each with their own individual styles, and both built tough to last for years (indoors or outdoors) under any conditions. They are all made by hand in our studios, and constructed with only 100% restoration forestry timber, and stainless steel. This is classic craftsmanship at its best, and you will not find anything that comes close as far as longevity and versatility, anywhere else on the market.